AP BIOLOGY - Maureen Nosal taught High School Biology including AP Biology for 25 years and middle school science for 7 years. She has been an AP Biology exam reader since 1997 and in addition has been a Table and Question Leader. Maureen is an experienced AP Biology and Pre AP Science consultant who has done workshops throughout the United States and abroad. Maureen is also on a College Board 6-12 Science Advisory Panel She currently is an adjunct professor at The College of New Jersey in both the Biology and Education Departments. AP Calculus AB - Jamil Siddiqui has spent the last 24 years teaching mathematics at East Bridgewater Junior/Senior High School. Over the course of his career, Jamil has taught classes across the department; however, he specializes in teaching Advanced Placement Calculus. He believes that anyone is capable of succeeding if they are willing to work hard and give their best effort, and he encourages students with varying abilities to be successful in his class. He tells his students their thought process, their effort, and their ability to communicate their ideas are far more important than the final answers they are trying to find. Jamil firmly believes all students can be successful by working hard, improving, and not being afraid to try. When speaking with Jamil, one can immediately sense his love for mathematics. His advice to teachers has been, "You have to love something. You love your subject, or you have to love your students." He can often be found after school and on weekends providing extra help to students who may be struggling. These experiences encouraged 15 of his former students to be mathematics teachers. Outside of school, Jamil has worked closely with Mass Insight Education as a mathematics lead teacher since 2012, and has served as a College Board consultant for AP calculus since 2014. Jamil received his bachelor's degree in biomedical engineering from Boston University and then earned master's degrees in teaching and pure mathematics, also from Boston University. AP Chemistry - Donald Gribbons is a twenty-six years veteran teacher of Advance Placement Chemistry. 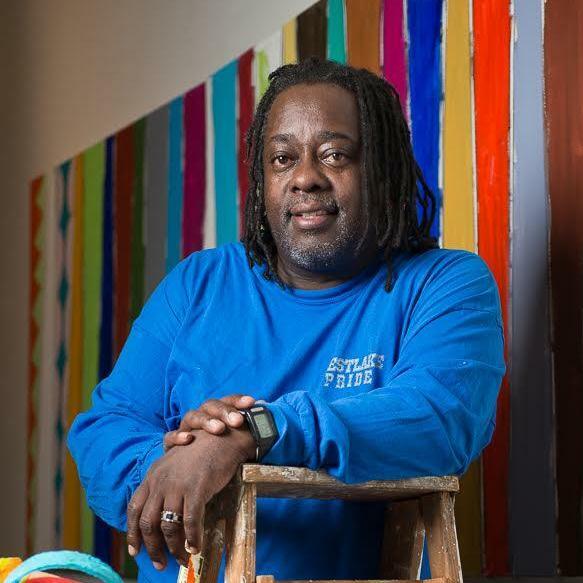 For the past twenty years, he has offered both multiple day and weeklong workshops nationally and internationally. This past year, he was selected as a member of the newly established National Faculty for the College Board Pre-AP Initiative. Don was honored by Stanford University in receiving the Frederick Terman Award for his contributions to the science education of high school students. In addition to his teaching duties, he has served as a mentor to numerous chemistry teachers and as a mentor to other College Board Consultants. Don has led both the Inquiry and Chemistry one-day workshops at the National AP Convention. 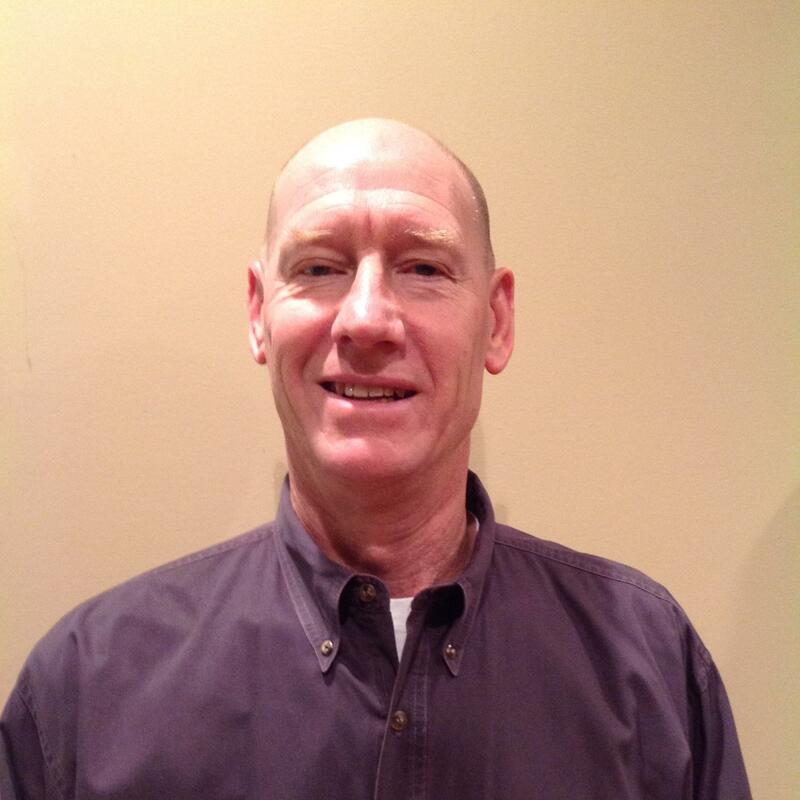 Having served as a cross-country and track coach for the past thirty plus years, he is an Inducted Member of the Massachusetts Track Coaches’ Hall of Fame. 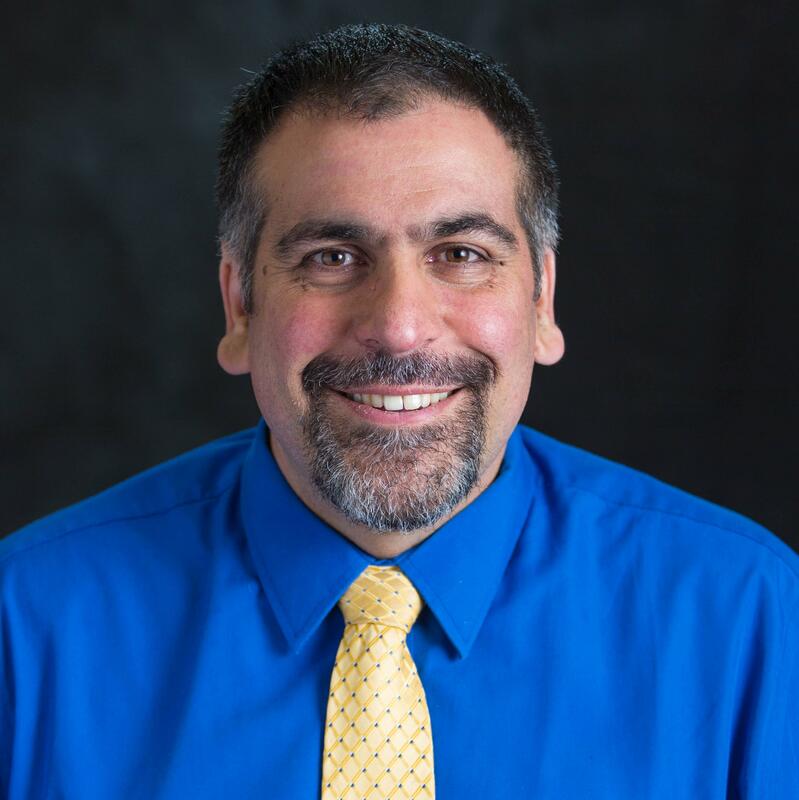 AP Comparative Government & Politics - Scott Rivinius has been a public school teacher for sixteen years, teaching in North Carolina, Massachusetts, Texas and Maryland. For the past seven years, he has taught AP Comparative Government and Politics at Winston Churchill High School, a school of 2200 students outside of Washington, D.C. He has worked at the AP Comparative Government and Politics Reading since 2013, as both a reader and table leader. He is a recent hire by College Board as an AP Consultant and has provided instruction and support to AP Comparative Government teachers, in the D.C. area, through mentoring and local workshops. 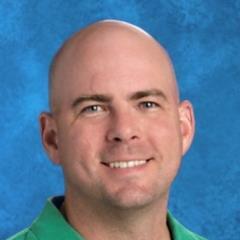 He has previously taught AP World History, AP U.S. History, and AP U.S. Government and Politics. He received his B.A. in History from Elon University; his M.A. in History from Salem State University; and his MEd in Educational Research and Evaluation from Ohio University. Mr. Rivinius has a passion for political science and teaching Comparative Government and Politics. He believes this is a course that is greatly beneficial to students’ academic development that helps them better understand the world. His APSI will have an emphasis on the 2019-20 course redesign and how to best prepare teachers and students for these changes. The APSI will provide numerous resources for teachers to bring back to their classrooms, including sample multiple choice questions, free response, lesson plans, activities, projects, and web resources. AP Computer Science A - Ria Galanos has taught AP Computer Science A since 2003. 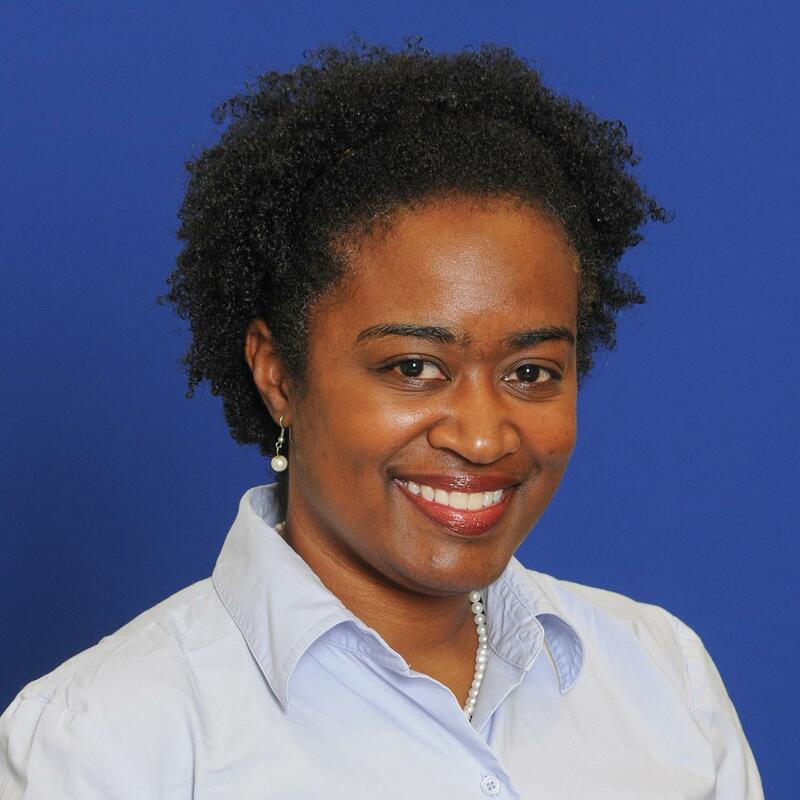 She teaches computer science full-time at the Thomas Jefferson High School for Science and Technology in Alexandria, Virginia where she teaches the old APCS AB course and Android App Development, a post-AP course she proposed and created in response to student interest. In addition to teaching, she sponsors both the Coding Lady Colonials (an all-girl computer science club), HackTJ (the school’s 28 hour overnight hackathon), and the Senior Computing Team. Ria is passionate about introducing young people to the field of computer science, teaching them how to program, showing them how to create something from nothing, and making them thirsty to learn more. She enjoys collaborating with and mentoring other teachers in order to improve student achievement and retention in computer science. She is interested in finding ways to increase: the number of students who take computer science courses at the secondary level, the percentage of girls and under-represented minorities in those courses, and the number of students who pursue further study in the field. Her current areas of focus are building the confidence of females in computer science courses and creating interdisciplinary real-world computer science assignments that help make computing relevant and personal for all her students. Her other professional hats include being a Reader, Table Leader, or Question Leader for the APCS A exam since 2007, serving on the AP Computer Science A Development Committee, and conducting APCS A student review sessions for the National Math and Science Initiative. Ria holds a BS in Aeronautical Engineering from Rensselaer Polytechnic Institute, a MAEd in Secondary Mathematics Education from Virginia Polytechnic Institute and State University, an advanced teaching diploma from Emory University, and is currently pursuing an MS degree in Computer Science from Georgia Tech. AP Computer Science Principles - Lynne Norris currently is the Chairperson at the Center for Information Technology (CIT) at Deep Run High in Glen Allen, Virginia. In this specialty program Mrs. Norris leads innovative courses in technology that are rigorous, encourage higher-level thinking and provide practical applications to her students. Since joining the CIT, Mrs. Norris has revamped the curriculum to include game design and network security. In addition to teaching, she sponsors five CyberPatriot teams, the Girls of CIT organization and her school’s Computer Club that has over 100 members. Mrs. Norris is passionate about providing her students with the best software tools and education possible to help them succeed now and in the future. She has been an official College Board AP Computer Science Principles Pilot for three years. 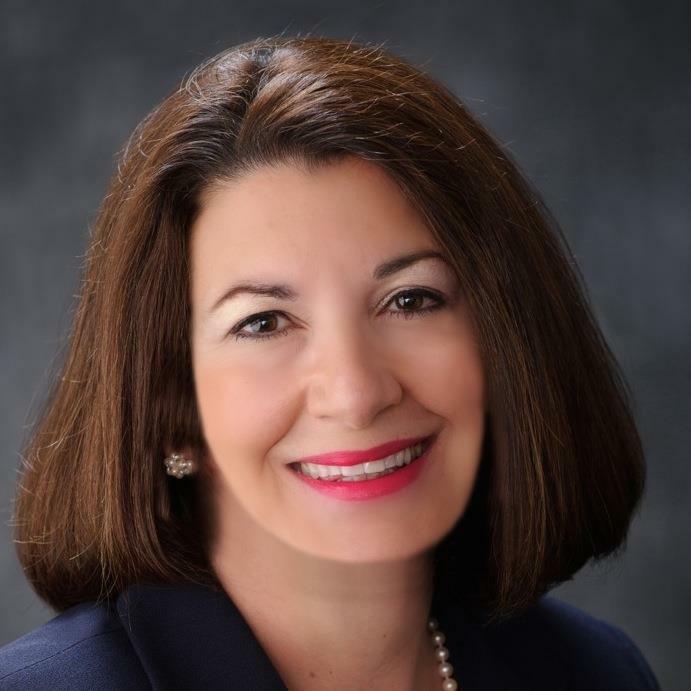 Her awards include the Educator Award from the National Center for Women in Information Technology, Top Henrico Teachers Award, and the Innovation in Education Award from the Greater Richmond Technology Council. Mrs. Norris spent over twenty years in corporate America before following her lifelong dream of becoming a teacher. AP Economics: Macro & Micro: Gary Petmecky has taught both AP Micro and AP Macro Economics at Parkview High School in Gwinnett County, Georgia since 1996. He served as a reader at the AP reading from 2007 until 2012. He has served as a table leader from 2013 to present. Gary has been actively involved in teacher economic education since 1998. In that time he has presented at over 50 workshops. He holds a BBA in Economics, a MBA in Finance, a MEd in Social Sciences and an EdS in Leadership. Gary was awarded the Georgia Council on Economic Education Teacher of the Year award in 1999 and the Georgia Council for Social Studies Teacher of the Year award in 2007. 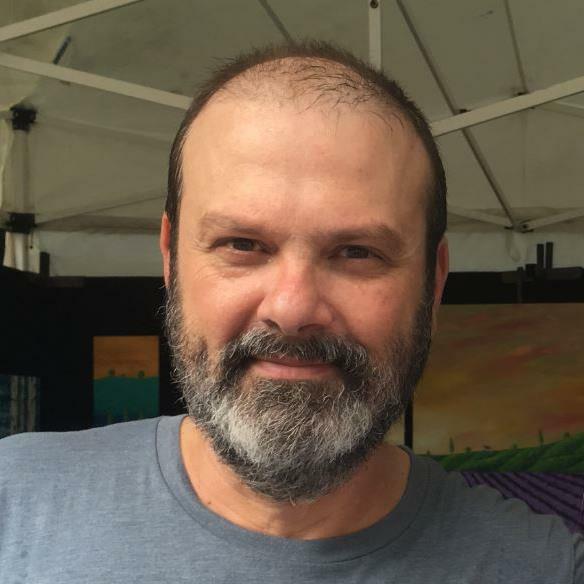 AP English Language and Composition - Carlos Barrera Carlos Barrera is an instructor of AP English Language and Composition at Sprayberry High School in Marietta, GA. 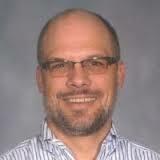 He is currently a College Board consultant and a table leader at the AP Language scoring/reading in Tampa, FL. He has been a frequent presenter at College Board conferences such as Prepárate: Educating Latinos for the Future of America and the AP Regional Conferences. He has presented on AP English Language for the Georgia Department of Education since 2008. He is proud to be a National Board Certified teacher. He has taught the course since 2002. He is married to an AP Language teacher and together they have two sons. AP English Literature & Composition - Richard McCarthy has a Masters in Literature from Middlebury. He has been teaching AP Literature and Composition for 14 years. He co-authored an AP Test Prep and Student Workbook through Pearson’s He has been a Lit exam reader for six years. He currently teaches 10th graders and AP Lit seniors, as well as serving as the Dean of Faculty at an independent school in northern Vermont. This is Richard’s second year delivering an APSI at Walton. Having a mix of experienced and inexperienced AP teachers, the objective of the week is to provide materials and strategies for test prep while also helping teachers develop curriculum. We will calibrate timed writes and Richard will offer a “view from the table” to help teachers understand how the readings are conducted. Moreover, a premium will be placed on understanding pragmatic universals in literature that will offer students not only some purchase on significant themes in literature, but also allow them to increase their fluency and sophistication. Participants will work individually and collaboratively to create thoughtful units to ensure student engagement, academic rigor, and skill development for the coming school year. AP European History - Kathryn Landsea has been teaching AP European History at Coral Gables Senior High for fifteen years in Miami, Florida. 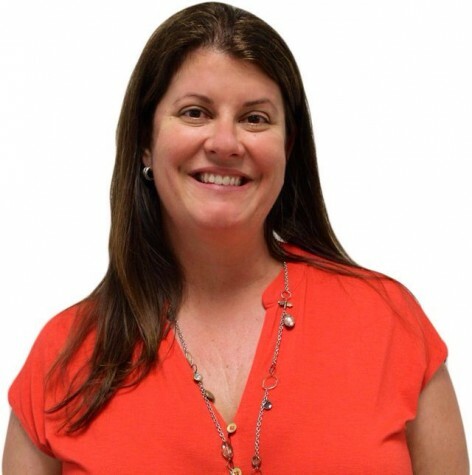 She serves as the AP European History trainer for Miami-Dade County Public Schools' Division of Advanced Academics and mentors new teachers throughout the district. She has served at the AP European History Reading for the past twelve years as a reader and table leader and has served as a question leader. AP Environmental Science - Susan graduated with a degree in Ecology and Systematics from San Francisco State in 1981 and pursued graduate work in limnology at Uppsala University, Sweden. This was interrupted when she accidentally fell into teaching and joyfully stayed, working in private and public high schools in Northern California and Utah. She completed her Master’s degree in Science Education from Montana State University where her studies focused on the role of student affect in science course success. Susan Berrend is the Science Chair at Pacific Bay Christian School in Pacifica, California and has taught in a number of public and private schools in California and Utah. Her graduate work was in limnology at Uppsala University, and later in student motivation in science at Montana State University. 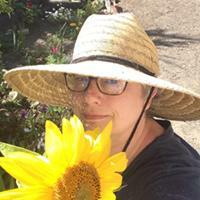 She has been involved with the AP* Environmental Science exams since 2000 as both reader and a table leader, and has had the honor of being a consultant in Environmental Science since 2005. Believing in teaching as an ever-developing craft, Susan has recently incorporated her students' service learning projects into the AP with WE Service program, and she is eager to share her experiences in this opportunity for AP courses. She stays busy dabbling in calligraphy, backpacking, gardening and being a fantastic dog aunt. Susan spends her summers exploring the wide variety of workshops and opportunities available to science teachers. In recent years, this included the American Chemical Society’s program on green chemistry, and participating in the Earthwatch Institute’s teacher-in the-field program. Susan has been an AP* Environmental Science exam reader and table leader for the past 18 years, and a College Board consultant for 13 years. AP French Language & Culture - Geneviève Delfosse has been teaching French at Thomas Jefferson for Science and Technology in Northern Virginia for more than 30 years. She enjoys teaching novice freshmen as well as AP and post AP students. Ms. Delfosse has previously served as co-chair of the College Board AP French Language and Culture Development Committee. 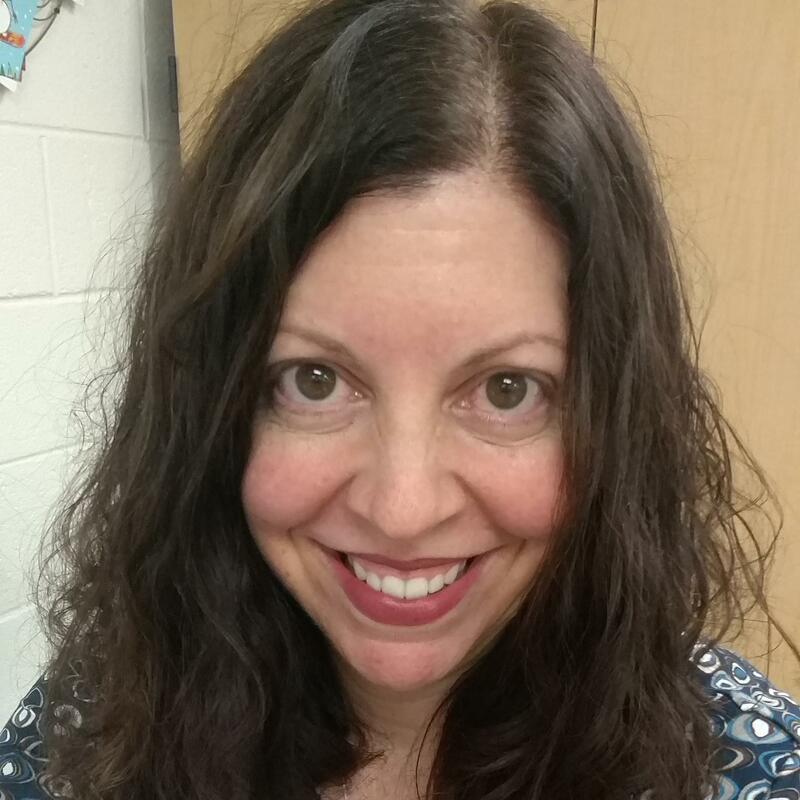 She has been an AP table leader for many years, and, as consultant for the College Board, she regularly presents AP French Language workshops during the summer. Ms. Delfosse has been chair of the development committee for the National French Contest for the last 16 years. A National Board Certified teacher since 2002, Ms. Delfosse received the Palmes Académiques for her contributions to the teaching of French at the secondary level. AP Music Theory - Dr. Melissa Cox is currently a Senior Lecturer in the Emory University Department of Music, where she teaches music theory and music history courses. Prior to coming to Emory, she taught music at St. Gregory College Preparatory School (now the Gregory School) in Tucson, AZ., including AP Music Theory, chorus, and music history. 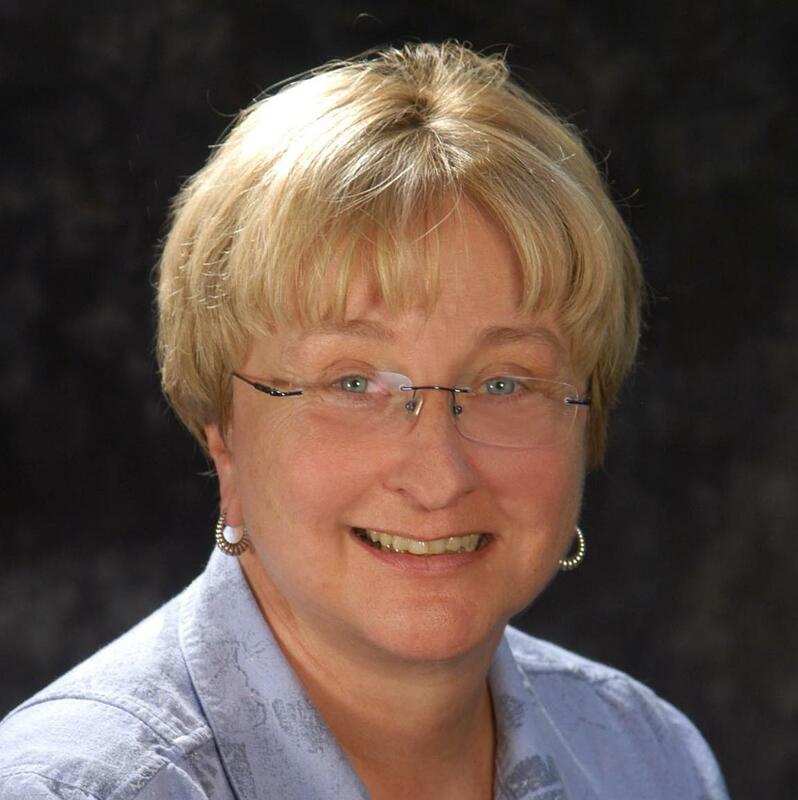 She has been a long-time Reader for the AP Music Theory Examination and a member of the Test Development Committee for the examination, as well as a member of the College Board’s Consultant Advisory Panel. She is currently on the Advisory Board for the AP National conference. Dr. Cox regularly leads AP Music Theory workshops across the country. 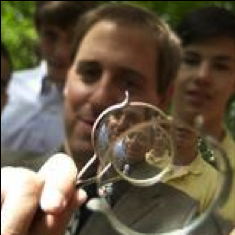 AP Physics 1 - Greg Jacobs is the science department chair at Woodberry Forest School, the nation's premier boarding school for boys. He teaches AP and 9th grade conceptual physics. Outside the classroom, Greg is the play-by-play broadcaster for football, soccer, baseball, and basketball. He has coached baseball, football, and debate. In his spare time, Greg writes books about physics, baseball, and football, and he umpires high school baseball. He is the president of the USAYPT, which sponsors the yearly US Invitational Young Physicists Tournament. Further information about the ideas presented at the institute can be found at Greg’s physics teaching blog, jacobsphysics.blogspot.com. Excellent presentation of instructor Best training to date. Materials from instructor are outstanding. 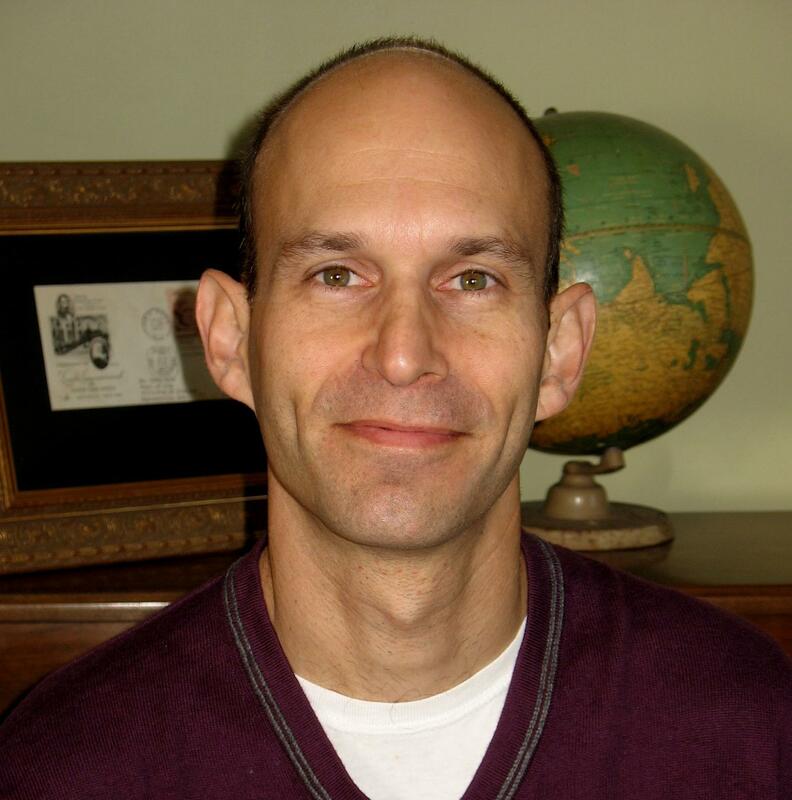 AP Physics C: E&M and Mechanics - Marc Reif teaches science at Fayetteville High School in Fayetteville, Arkansas. He has been teaching AP Physics since 1998 and has presented more than 40 AP and Pre-AP Science workshops in the United States and abroad. 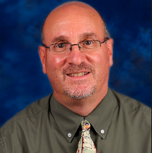 Mr. Reif is a member of the AP Physics 2 Outside Working Group, and an Outside Item Writer for AP Physics C. He authored the AP Physics 2 Curriculum Module on Capacitance and has contributed to other AP Physics publications. He is a past chair of the SAT Physics Subject Test Development Committee and a past member of the College Board Science Academic Advisory Committee. Mr. Reif was a reader for the AP Physics exam from 2002 through 2007. In 2002-2003 he worked with Physics Professors at the University of Arkansas reforming physics and education courses as PhysTEC Physics Teacher in Residence. He served as PhysTEC Visiting Master Teacher from 2011 to 2015. Mr. Reif has presented at national meetings of the American Association of Physics Teachers and Teachers Teaching with Technology. In 2016 he was named the recipient of the College Board Southwest Region AP Award. He holds an MAT in science from the University of North Carolina and renewed his National Board Certification in Teaching Science in 2015. AP Psychology - AP Psychology Instructor College Du Leman, Geneva Switzerland Laura Brandt teaches AP and IB Psychology as well as AP Seminar the College du Leman in Geneva, Switzerland. Laura has taught psychology for the past 25 years and has facilitated many conferences for instructors of Psychology. In addition, she has served as a reviewer or author for book chapters, course reviews and test banks and review books. Laura has served as a reader, table leader and question leader for the AP psychology reading and serves as an examiner for the IB psychology exams. Laura has served on the TOPSS executive board, which represents high school psychology instructors within the American Psychological Association as member coordinator and chair. Laura along with Nancy Fenton are the co-creators of the I-Score 5 review app for the AP Psychology exam and the blog Books for Psychology Class (http://booksforpsychologyclass.weebly.com) a blog which reviews psychology related books and provides class activities for teachers and students. Laura earned her Master’s degree in U.S. History at Northern Illinois University and her Master’s in Psychology from DePaul University in Chicago and her administrative certificate form Concordia University. 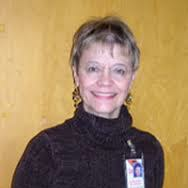 AP Spanish Language & Culture - Parthena Draggett has been teaching Spanish for over 30 years. She founded the AP Spanish programs at Jackson High School in Massillon, Ohio, and also served as World Language Department Chair before retiring in 2015 and moving to Naples, Florida, A passionate Pre-AP and AP teacher, Parthena also regularly participates in the AP Spanish Language and Culture Reading serving as Table Leader for writing. 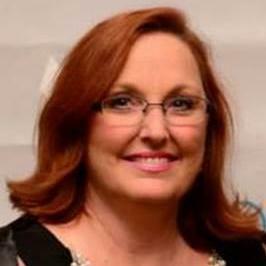 She has presented conferences at AATSP, ACTFL, FFLA, OFLA, CSCTFL, and the AP Annual Conference. Parthena is lead author of the AP Spanish Language and Culture textbook, Temas, published by Vista Higher Learning. She is co-author of the College Board thematic Curriculum Module to be used in revised AP Spanish Language and Culture AP Summer Institutes. She participated in editing and composing sample syllabi for the new AP Spanish Language and Culture Course Audit. Parthena has been a reviewer and contributing author of several AP Spanish publications, including the AP SPANISH LANGUAGE Quick Study Guide for Bar Charts, Inc. On behalf of the College Board, she has presented at several AP Annual Conferences. Parthena is a Praxis II Spanish Language Chief Scoring Leader and item writer for ETS. She was named State Director of the Year for the Sociedad Honoraria Hispánica in 2012. Parthena is a member of the Board of Directors of the AATSP, serving as Secondary Representative and also presented at the100th Anniversary Conference in Salamanca, España. She is an independent national and international world language consultant, most recently providing 5 days of professional development in Russia at the Anglo-American School of Moscow. She earned her B.A. in Spanish and French from the University of Mount Union and her M.A. in Spanish and French Pedagogy and Applied Linguistics from Kent State University. Parthena was one of the first National Board Certified Teachers in World Languages Other than English, and currently holds the highest Ohio teaching credentials: Lead Professional Educator License. 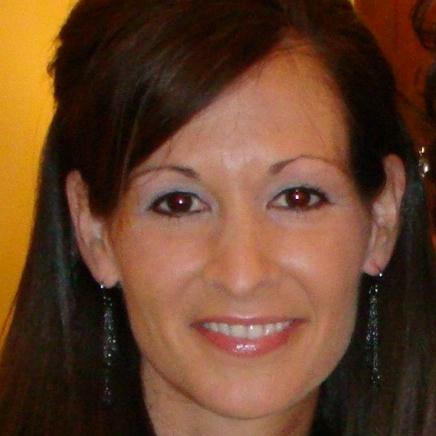 She was named as “Ohio’s World Language Teacher of the Year” for 2014-2015. Parthena is passionate about her work with both students and teachers in the quest for increased proficiency in language communication. Parthena is Department Chair at the Community School of Naples, Florida, where she is building Vertical Alignment and Pre-AP Strategies across languages and levels. AP Spanish Literature & Culture - The College Board-endorsed AP Summer Institutes provide teachers with in-depth training in AP courses and teaching strategies. Participants engage in at least 30 hours of pedagogical and content rich training led by College Board-endorsed consultants and receive printed materials, including course outlines ; content -related handouts; and student samples, scoring guidelines, and commentary for the most recent AP Exam free-response questions. For thirteen years, Linda has AP Spanish Literature and Culture at Desert Vista HS as a Dual Enrollment Instructor in conjunction with Rio Salado College for Humanities credit. 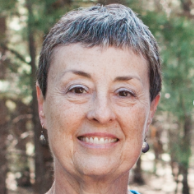 Having studied Spanish and Spanish American literature at Stanford University and taught survey courses at the University of New Hampshire, Linda applies that knowledge to the construction of her AP curriculum. Even before the College Board course required including culture, she incorporated historical as well as visual and musical connections in my AP course. For these reasons, she will introduce a uniquely organized syllabus and successful strategies to prepare students for the AP Exam. Besides presenting several APSI and one-day workshops on this course, she has also read for the AP Spanish Literature and Culture Exam, so she can share the perspective of the readers who grade the AP Exam. In addition, she has the advantage of having traveled or studied in Spain, Mexico, and Peru, giving first-hand knowledge of the people, culture, and locations described in the literature of the AP Spanish Language and Literature and Culture course reading list—knowledge that has enlivened her classes and inspired her students to love the culture and literature as she does. 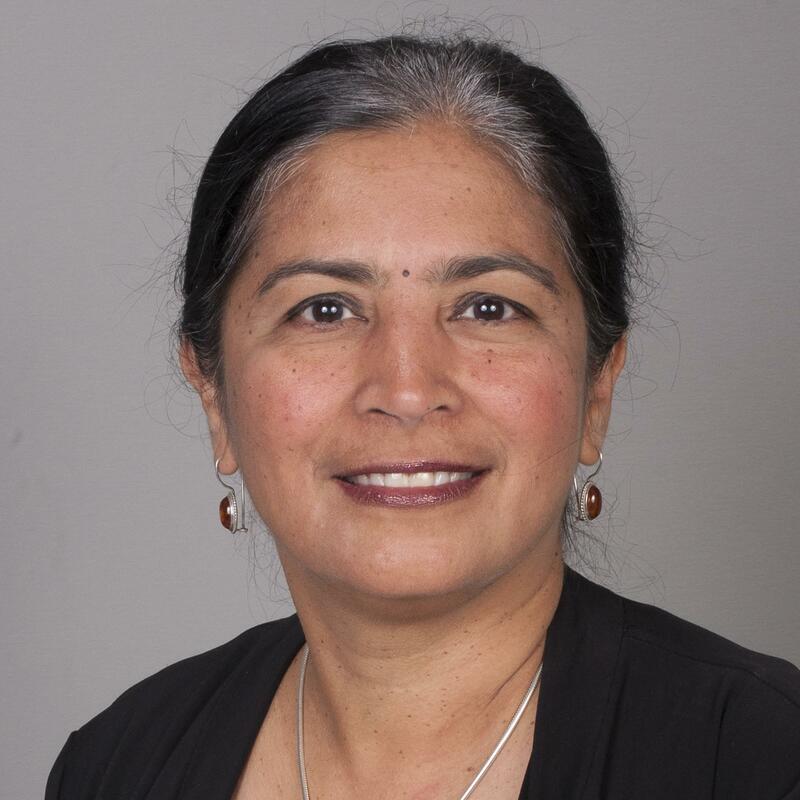 AP Statistics - Madhuri Mulekar received her Ph.D. in Statistics from Oklahoma State University and has taught statistics at the University of South Alabama since 1990. She is a Fellow of the American Statistical Association and a member of the Institute of Mathematical Statistics. As a member of Test Development Committee, Madhuri has reviewed tests and rubrics for AP-statistics exams and conducted question-writing workshops. Over the years, she has also conducted several 4/5-day AP-institutes and one-day workshops. She has been involved with AP Statistics Readings since 1997, and has participated as a Reader, Table Leader, and Question Leader. She has developed a course for high school mathematics teachers to train them for teaching statistics in high schools. She has published teaching-related papers in Teaching Statistics, Mathematics Teacher, and STATS. She has authored Cracking AP Statistics Exams by Princeton Review used by many to prepare for AP-Statistics exam. In this AP-Statistics Summer Institute participants will learn about AP Statistics course and exam, content knowledge of some topics, how to integrate technology into teaching, and how to grade student responses for accuracy of content knowledge as well as communication. Learning outcomes: After attending this workshop participants will be able to: · Develop strategies for a course that will prepare students for AP exam while keeping subject matter engaging. · Conduct activities in classroom to engage students for learning through discovery. · Write effective assessment questions using real data. · Understand how student answers are assessed on the AP Statistics exam. · Implement course requirements to effectively prepare students for the AP exam. Workshop will be modified to meet needs of participants as identified through discussion during workshop. AP United States Government & Politics - Dr. Shenita Brazelton is a licensed attorney and an Assistant Professor of Political Science at Old Dominion University located in Norfolk, Virginia. She earned a BA from Tuskegee University in political science, a JD from Vanderbilt University Law School, and a PhD in political science from Georgia State University. She has served as a Reader for AP US Government and Politics for approximately six years. She is currently a member of the Instructional Design Committee for AP US Government and Politics. 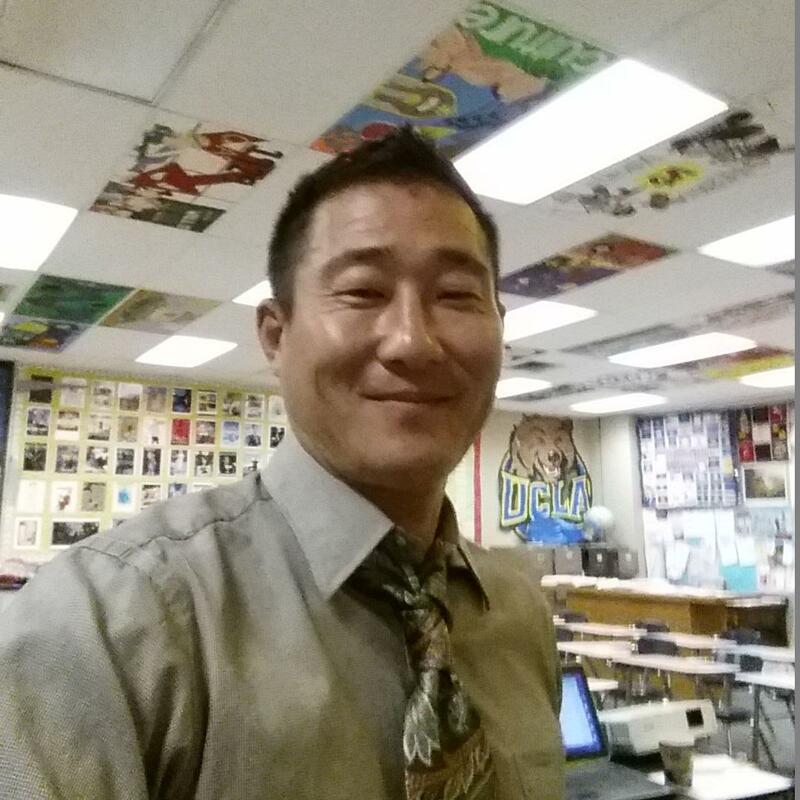 AP United States History - Michael Kim shares the following with the teachers considering this APSI: I have worked my entire nineteen-year teaching career at Schurr High School in Montebello, California. My current assignment consists of teaching Advanced Placement United States History, Economics, and Finance. I have taught AP U.S. History for all nineteen years of my career. I have been a reader for the U.S. History exam for sixteen years. Since 2003, I have been a College Board workshop consultant in AP U.S. History and Pre-AP workshops. Over the past four years, I have been given the opportunity to train and mentor several of the new consultants in AP United States History. I currently serve as a mentor for the online mentoring program. My early experience and involvement with the redesign of the course has given me the opportunity to write a test bank for one of the textbook publishers and an online test question site. I am also a co-writer of the summer workshop training materials. I believe that I have much to offer the participants at summer institutes. In addition to providing a tremendous amount of resources and ideas, I take pleasure in instilling a sense of mission and enthusiasm in the participants who are and will be teaching AP U.S. History. I am also very proficient in utilizing technology in the classroom. I am eager to share many useful strategies to the participants in the use of technology. I look forward to working with all the participants during the week as well as being a continual resource in the future. 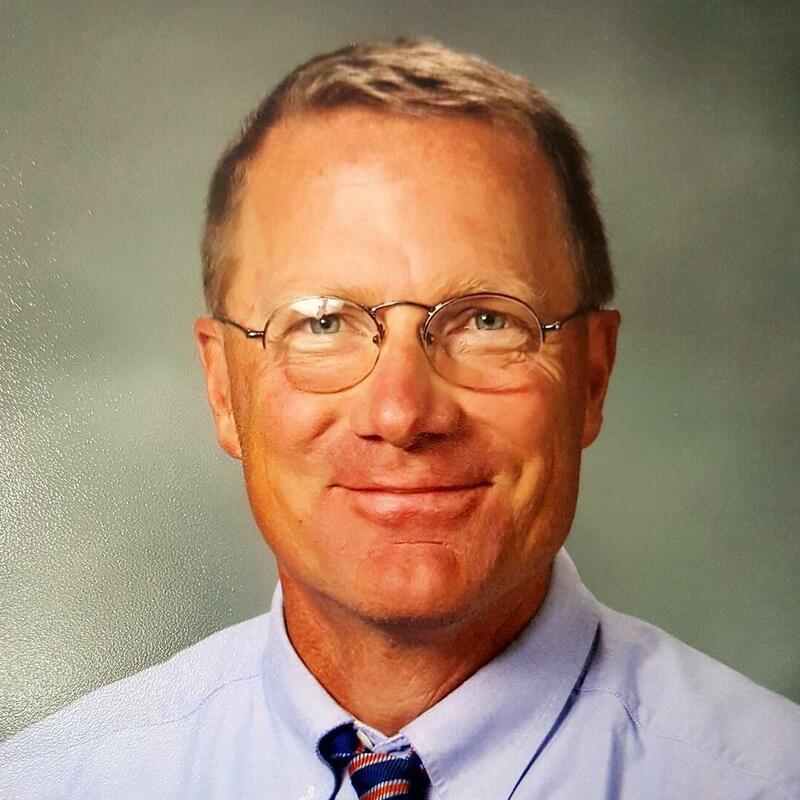 AP World History - Bill Strickland - Experienced teachers with 3+ years of experience teaches at East Grand Rapids High school in East Grand Rapids, Michigan. He has served as a Reader, Table Leader, and Sample Selector at the APWH Reading since 2004, and has led numerous AP World History workshops and Summer Institutes. He also served on the Curriculum Development and Assessment Committee that defined the “Redesigned” AP World History course that took effect in 2012.